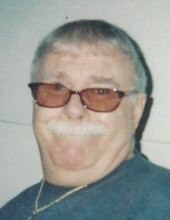 Beach, Rex Dean - Age 80, of Flint, died April 7, 2019. No public services will be held. Rex was born July 28, 1938 in Flint, the son of Elisha and Donna (Rounds) Beach. He worked for Intercity Trucking. Rex is survived by his wife: Katheryn; sons: Ronnie Dean Beach, Trent Lee Beach; brother: Joe (Priscilla) Beach; sister: Teresa (Barry) Osmon. He was preceded in death by his parents. Tributes may be shared at www.sharpfuneralhomes.com. To send flowers or a remembrance gift to the family of Rex Dean Beach, please visit our Tribute Store. "Email Address" would like to share the life celebration of Rex Dean Beach. Click on the "link" to go to share a favorite memory or leave a condolence message for the family.